Scion’s 2016 tC once again confuses both the media and the public as to whether it’s a coupe or a hatchback. But this compact family-hauler continues to offer seating for 4, abundant features, and a staid-yet-competent 4-cylinder powerplant. The 2016 tC also sports a brand new Display Audio System boasting a 7-inch touchscreen, HD radio, Bluetooth audio streaming, and internet radio access by way of interfaced smartphone apps. The tC once again comes in a single base trim, with standard front-wheel drive (FWD) only. The somewhat cramped, coupe-like cabin does manage to offer 14.7 cubic feet of cargo space behind the rear seats, and those seats fold down for a little extra (though unspecified) room. The tC's exterior keeps an aggressive and athletic profile that, according to most, doesn’t quite pan out on the open road. But for the more mundane chores and commutes, this deficient performance matters less than the tC's undeniable practicality and value, not to mention some heady acceleration figures--though the acceleration means somewhat lower fuel efficiency. Standard appearance features aboard the 2016 tC include 18-inch alloy wheels, a power-opening sunroof in front, and a fixed glass sunroof in the rear. Inside, look for cloth upholstery, sport front seats, reclining rear seats, and full power accessories. Cruise control and telescoping tilt-wheel steering are again included, along with a simulated alloy steering wheel mounted with standard paddle shifters, cruise controls, and audio buttons, manual air conditioning, and standard Bluetooth hands-free calling. Entertainment now centers around the new Display Audio System, including a Pioneer premium audio system that features a CD/MP3 player, 8 speakers, HD radio, and an auxiliary audio input. A number of dealer-installed accessories also remain available to the 2016 tC, including BeSpoke entertainment with navigation and Aha capability with a dedicated smartphone app. Look too for optional 19-inch alloy wheels, a rear spoiler, and sport-oriented TRD (Toyota Racing Division) brakes and suspension parts. The tC also returns equipped with such standard safety features as 4-wheel antilock brakes (ABS), traction and stability control, front side-mounted airbags, front knee airbags, front and rear head-protection airbags, active front headrests, and turn-signal-integrated mirrors. Front fog/driving lights return as an option, though no rear-view camera is yet available. National Highway Transportation Safety Administration tests give the 2016 tC 5 out of 5 stars for overall crashworthiness, and the Insurance Institute for Highway Safety (IIHS) awards the tC its highest rating of Good in all categories except its new small-overlap frontal-offset test, where the tC gets a second-best Acceptable score. Scion, a division of Toyota, has its 2016 tC in dealer showrooms right now, challenging Honda’s Civic Coupe, Kia’s Forte Koup, and Volkswagen’s Beetle Coupe for a share of the compact hatchback/coupe market. 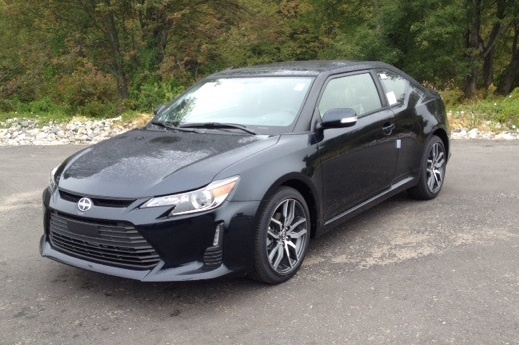 What's your take on the 2016 Scion tC? TheHorror I suspect Tallberg is a relative of editor, or something similar. Simply linking to the manufacturer's website would make his 'work' completely superfluous. Users ranked 2016 Scion tC against other cars which they drove/owned. Each ranking was based on 9 categories. Here is the summary of top rankings. 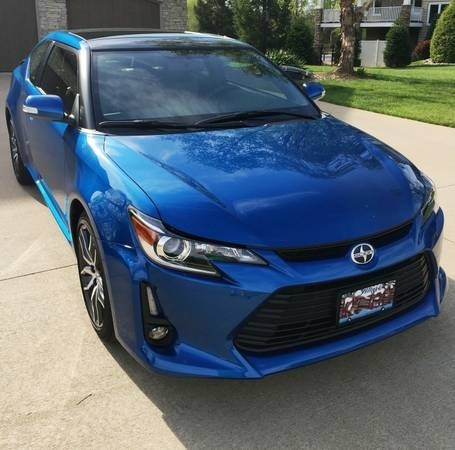 Have you driven a 2016 Scion tC?